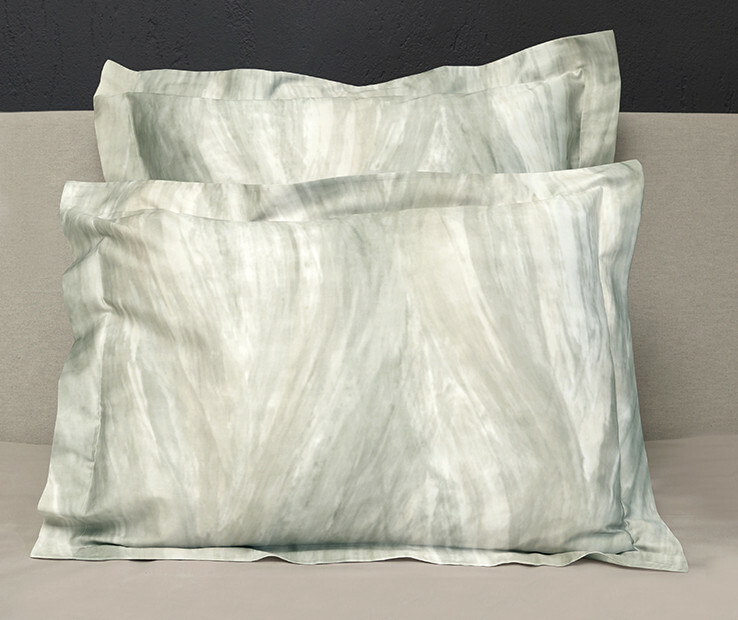 The soft and sinuous movement of the ocean's waves is the inspiration of these printed Onda shams which brings to mind contemporary paintings. 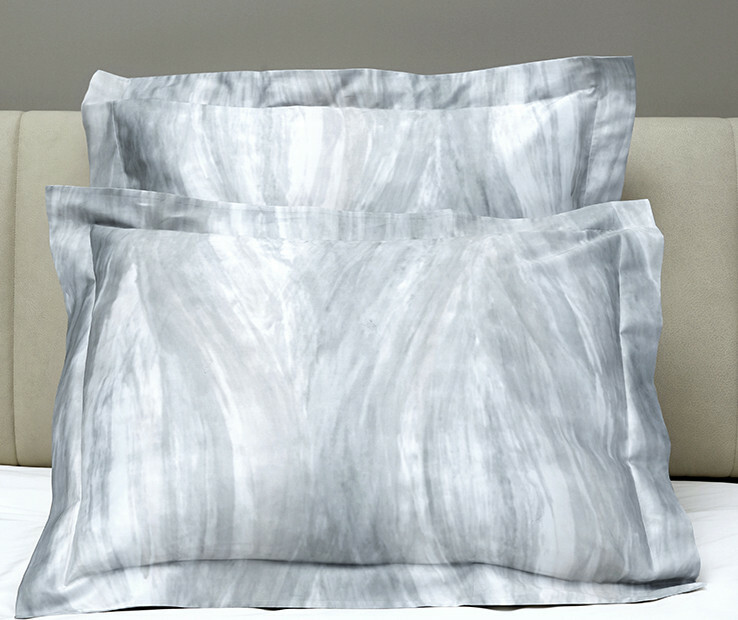 The shams are presented on Sateen 300 t.c. 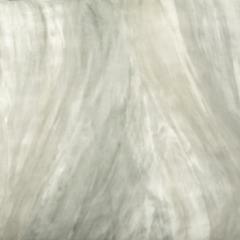 in natural and blue-grey tones that coordinate well with many of Signoria colors. 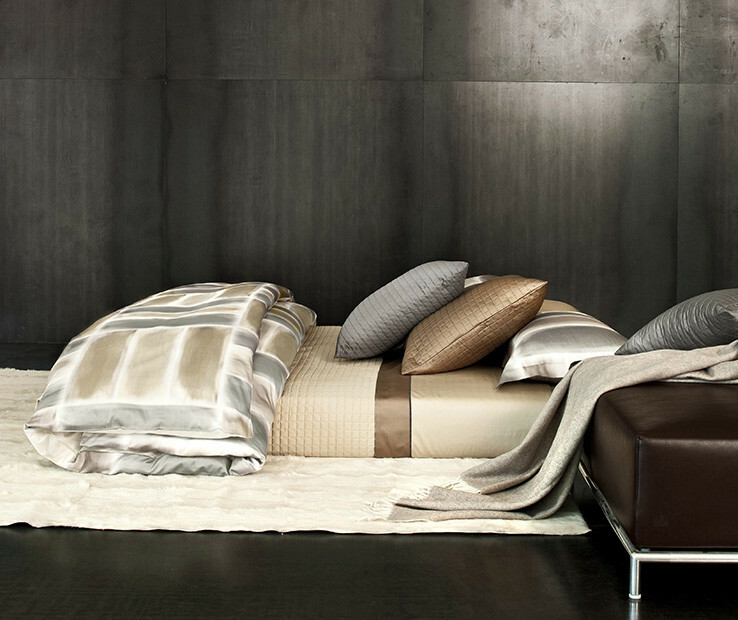 Woven with the sublime Egyptian combed cotton and finished with the most renown Italian techniques, the hand is extremely soft and bright. 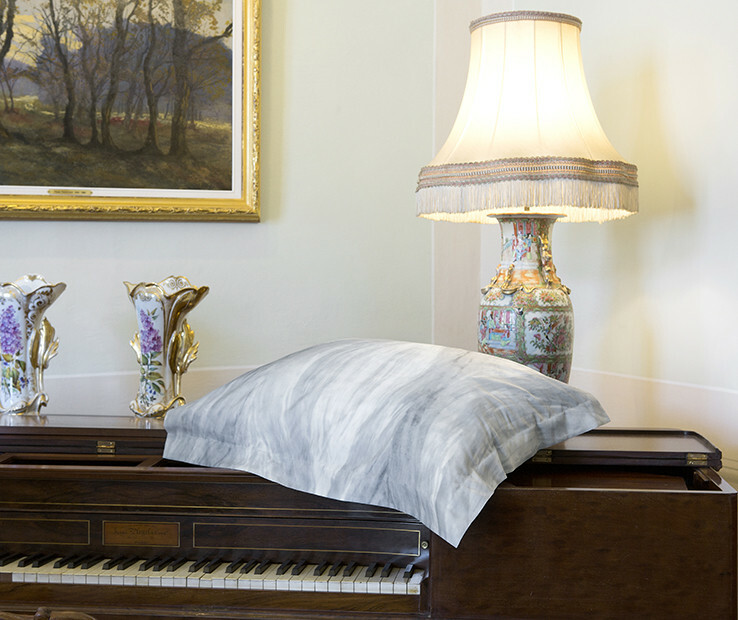 Available in Standard, Euro and King sizes, the Onda Shams have four flanges of 2 inches neatly finished with a simple hem. Made in Italy. 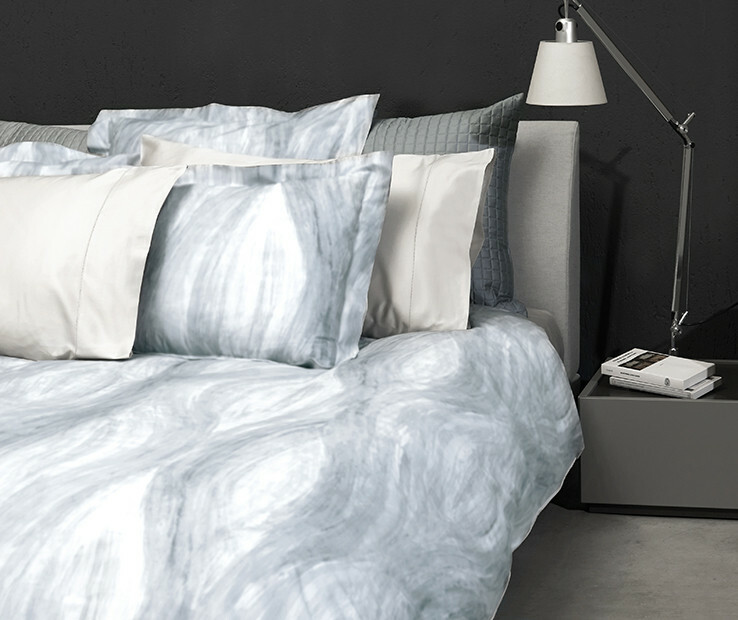 The soft and sinuous movement of the ocean's waves is the inspiration of this printed Onda duvet cover which brings to mind contemporary paintings. It is presented on Sateen 300 t.c. 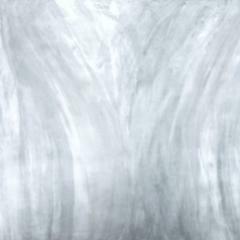 in natural and blue-grey tones that coordinate well with many of Signoria colors. 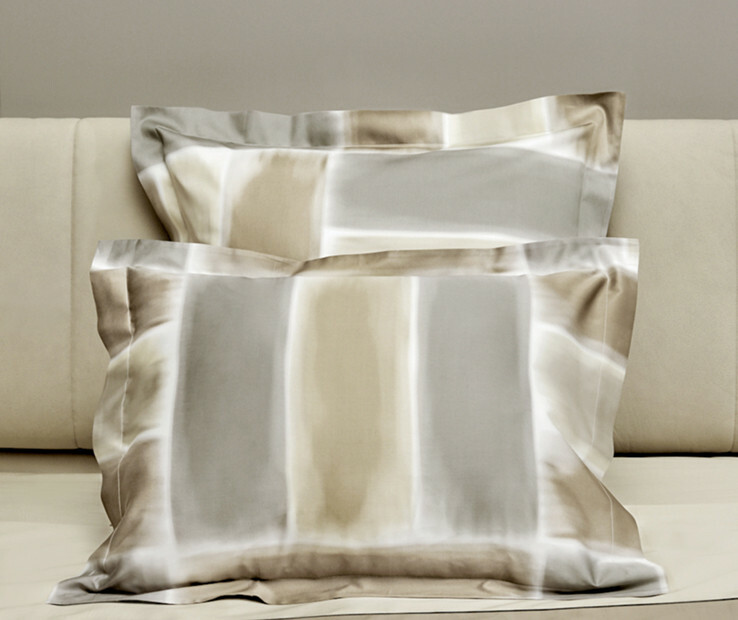 Available in Twin, Queen and King sizes, the Onda Duvet cover is backed with silky cotton sateen in coordinating color and is neatly finished with a simple hem. buttons closure. Made in Italy.